The problem with travel is that sometimes it can make the world seem like a very big place. No matter how much of it you explore, there always seems to be more of it to see. Yes, it’s a cruel irony that the more you travel, the more places you realise you’d like to travel to … and so your bucket list just keeps on growing. 10 years since I first left the UK with my trusty backpack, there’s still a ton of destinations I’m desperate to explore, many of which I hadn’t even heard of, yet alone considered, when I first packed my bags. But such is the way travel has expanded my horizons and fuelled my passion. 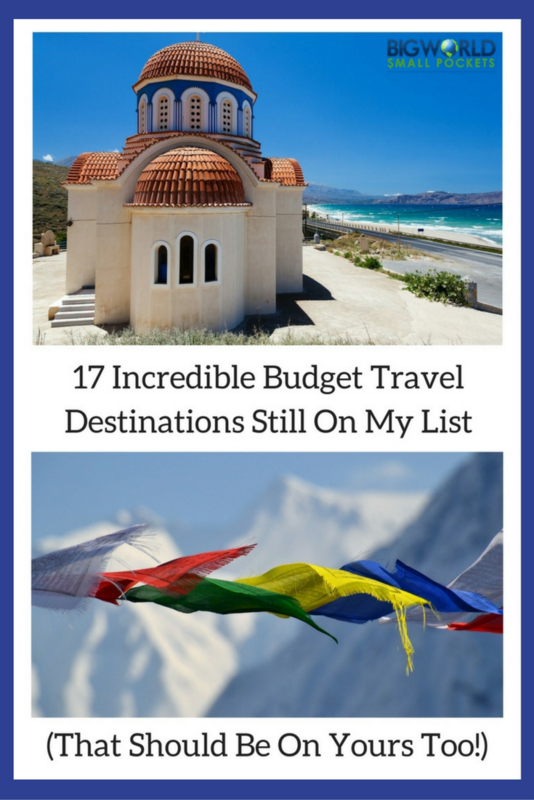 Here, to celebrate my desire to keep journeying long into the future, are 17 incredible budget travel destinations still on my bucket list, that should be on yours too! Coming in at the top, is South America’s cheapest country to travel in and one I’m still kicking myself I didn’t get to when I was in that continent 4 years ago. 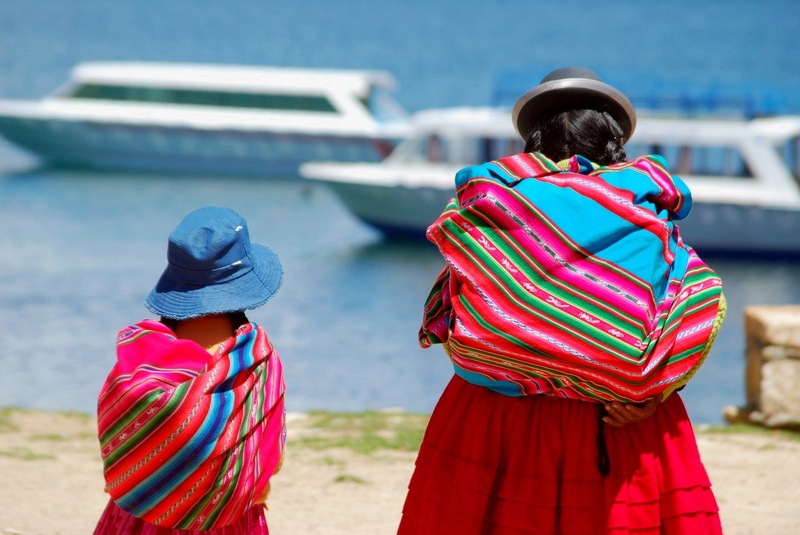 The land of the soaring Andes, strong indigenous culture and stunning salt lakes, even the mention of Bolivia gets my wanderlust seriously fuelled up! Unbelievably, I’m yet to explore the continent of Asia at all (saving the best for last perhaps?) but when I do Burma / Myanmar is going to be right up there at the top of my budget travel destinations to explore. With my strong interest in Buddhism and intrigue about the future of a country which has only recently opened its doors to Westerners, the exotic allure of Burma / Myanmar has me enthralled. With diving Zanzibar being some of the best in the world, as well as Africa’s highest peak, the diverse country of Tanzania excites me for all sorts of reasons. My parents actually climbed Mount Kilimanjaro last year and after looking at their photos and hearing their stories, spending time in this fascinating African country has crept high onto my list. I made it to Tanzania in 2017 as part my amazing overland Africa trip and loved it! Staying at the Ebb & Flow Apartments in Zanzibar comes highly recommended, as does visiting the amazing Stone Town! On the way to Zanzibar, don’t forget to check out the bustling city of Dar Es Salaam. The vastness of this sparse and hidden corner of Asia entices me. I can’t wait to uncover some of the secrets of this little-discovered part of the world and share a sense of bringing it into view. 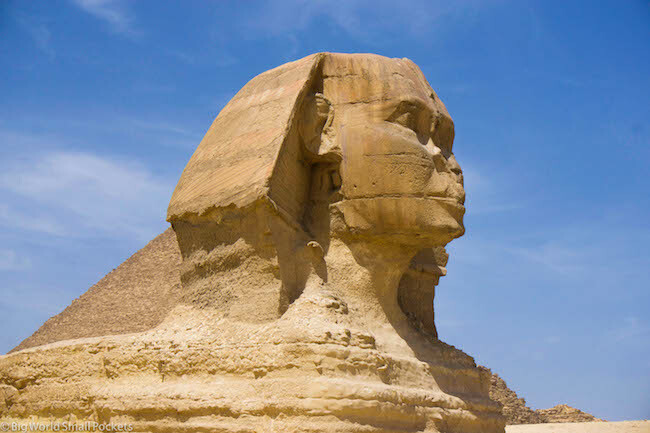 Despite knowing about the crowds and the touts, the country of Egypt still calls my itchy feet with its fascinating history and heritage. Ever since I learnt about the Ancient Egyptians in primary school, seeing the great pyramids rise out of the desert has been high on my list. It might sound cliched, but the sight of these magnificent structures is definitely something I want to witness with my own eyes before kicking the bucket! I finally made it to Egypt in 2018 fulfilling a childhood bucket list dream! Staying at the Eka Dolli Guesthouse in Aswan comes highly recommended, as does visiting the amazing Valley of the Kings in Luxor! But of course, you can’t miss the crazy city of Cairo and those pyramids either! A little-known corner of Europe, Romania is still off the beaten track enough to feel exciting … and to remain cheap! Not much seems to be known about this country by the general travel population, but the pictures I have seen from the fascinating capital to the picture-perfect countryside, are enough to tell me this one is a winner for sure! I made it to Romania in 2018 as part my amazing summer in eastern Europe and loved it! Check out this post I wrote afterwards about the best places to visit in Romania and the top things to do in the capital Bucharest on a budget. Who can resist Nepal? Not me! I can’t wait to get to this country to check out some of the truly spectacular hiking and eat some of the delicious vegetarian food. I’ve had many friends who have visited this gorgeous Himalayan destination and, quite simply, nobody has anything but wonderful things to report. Done deal – on the budget travel destinations list it is! Ok, ok, this really is the big daddy of them all. If I had to choose only one more country in the world to visit, it would be India. If I had to choose only one more country in the world to spend a long amount of time, it would be India. 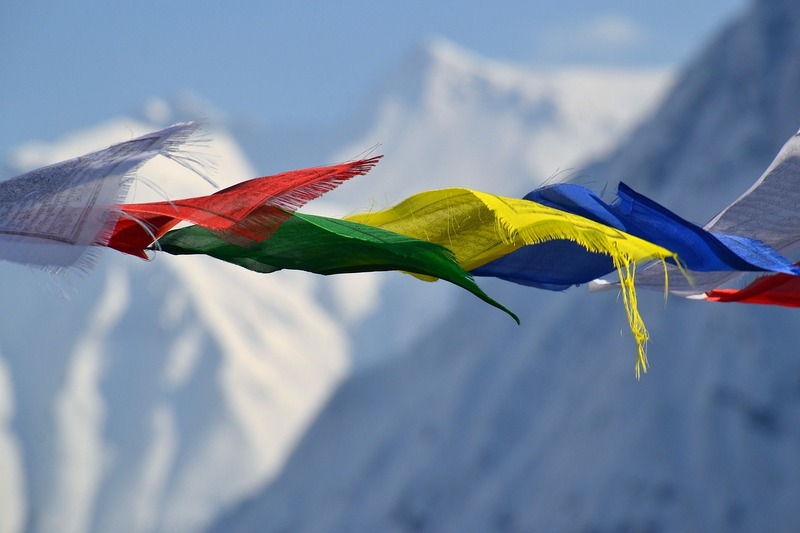 This vast, colourful and crazy country absolutely dominates my dreams of budget travel destinations and with my passion for yoga and meditation, India is the one that calls my soul. Brilliantly straddling the border between Asia and Europe, the dynamic, divided and delightful country of Turkey captures my imagination. My plan is to travel through this country by land in 2017 and therefore cross over the continent border set within its heart. This idea fascinates me and I’m desperate to experience the merging of cultures and customs firsthand here. Whoop whoop, I got to visit Turkey in 2018 and spent 3 amazing weeks there. My highlight? 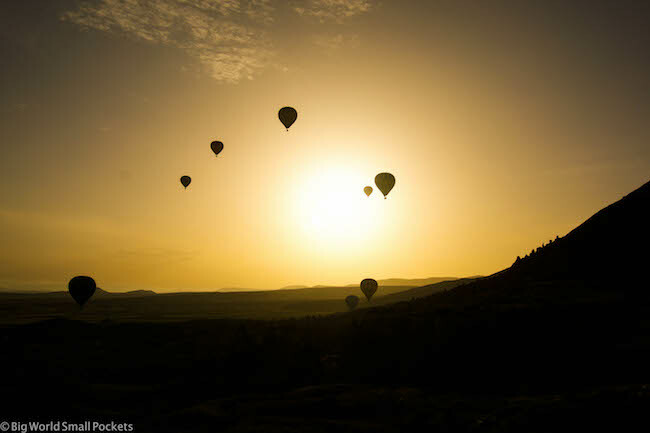 It had to be hot air ballooning in Cappadocia of course! Don’t know much about it, don’t know anyone that’s been there. Imagine they have delicious food. For some reason, I’m sold. Ha ha! Well I know the reason now! 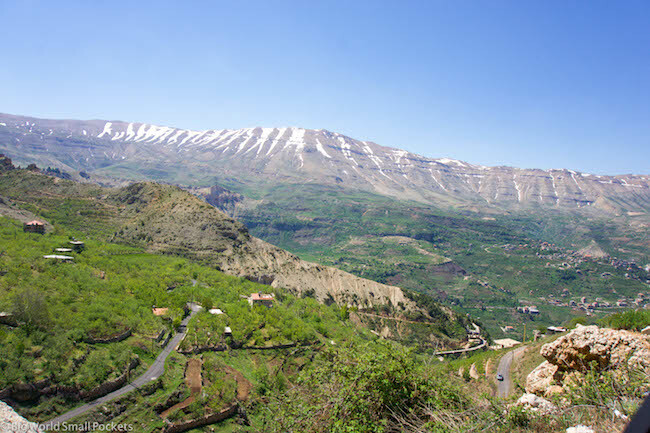 Lebanon is absolutely one of the most amazing travel destinations in the world and I’m totally in love with it, especially the hiking there, the incredible capital of Beirut and the stunning Cedars. And, yes, I can confirm the food is sensational! 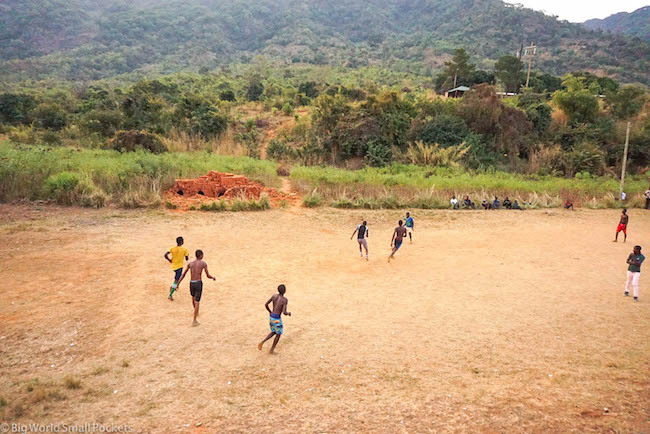 I’ve wanted to visit Malawi since I first heard of the country during my time in South Africa in 2004. 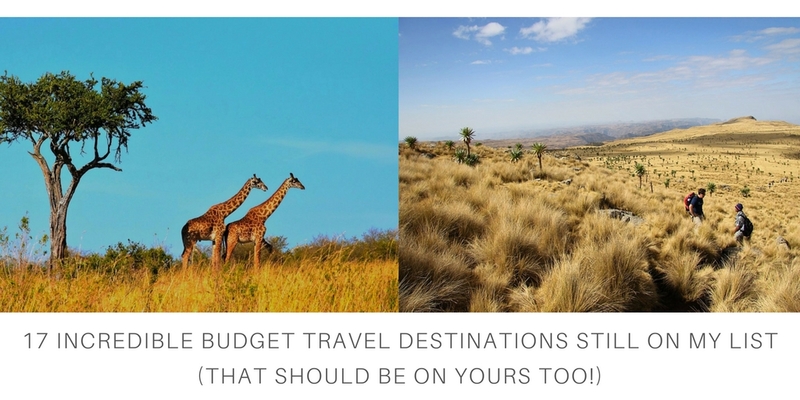 Unfortunately, I haven’t made it there yet, but this budget travel destination in Africa has never dropped off my list. Learning of a great music festival that happens at the lake there, as well as the awesome diving possibilities in this land-locked destination, I really want to travel Malawi before all the crowds do. Hoorah! I made it to Lake Malawi in 2017, although unfortanutely, I didn’t get to scuba dive there. Find out why here. If you are heading to Lake Malawi, stay at Thumbi View Lodge to enjoying diving, hiking and kayaking in this beautiful national park area. A backpackers favourite, but still high on my list is the southeast Asian country of Cambodia. Yes, I want to go to Angkor Wat, but I also want to explore some the islands this coastal nation has to offer, including those that still don’t have roads. It’s pretty much a given that one day these paradise retreats will pass out of the hands of budget travellers and into those of the resort fiends and I plan to get there beforehand! 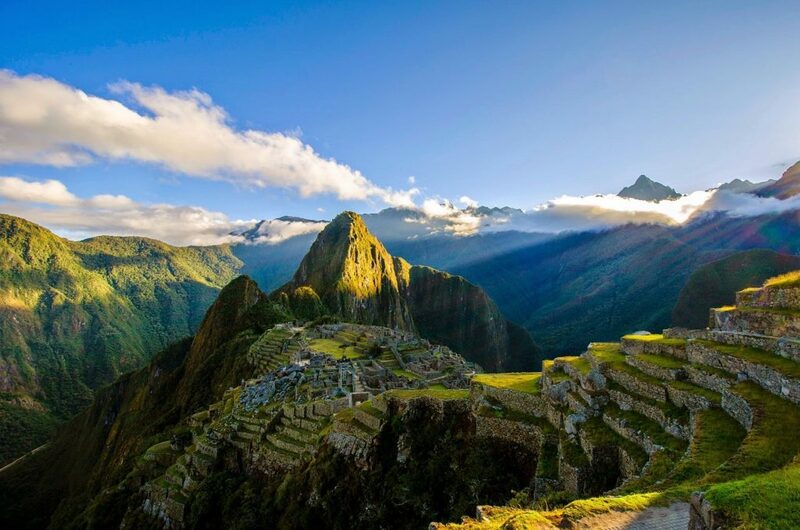 Back to the great continent of South America, the Inca capital of Peru is another incredible budget travel destination still on my list. As with Bolivia, I’m gutted I ran out of money before making it far enough down the Andean trail to see Peru. Nevertheless, my promise to get back there one day still holds true and I will explore this fascinating jungle-land of shamans and ruins soon! Read the best budget places to stay in Arequipa, Peru here. Perhaps a strange one, but I’m reading more and more about other travel bloggers heading to Jordan and can’t wait to get in on the action as well! 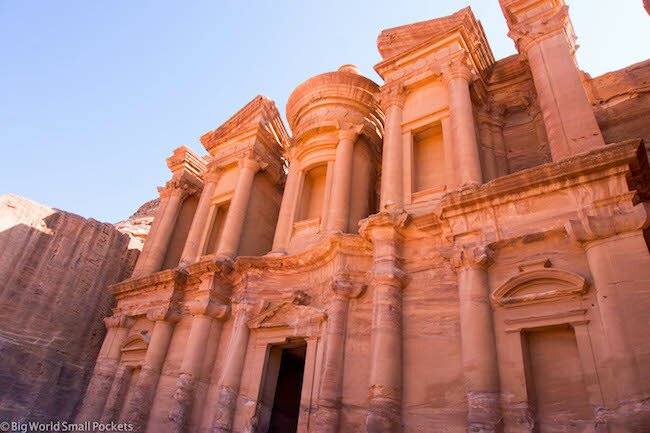 With fascinating Roman ruins and, of course, the mighty Petra, this small middle-eastern nation sounds and looks very exciting. Whoop whoop! I got to tick Jordan off my travel lust list in 2018! My ultimate highlight was visiting the ancient city of Petra – learn exactly how you can visit Petra on a budget too HERE! Ever since the financial crisis devastated this southern European nation, Greece has struggled to get back on its feet. 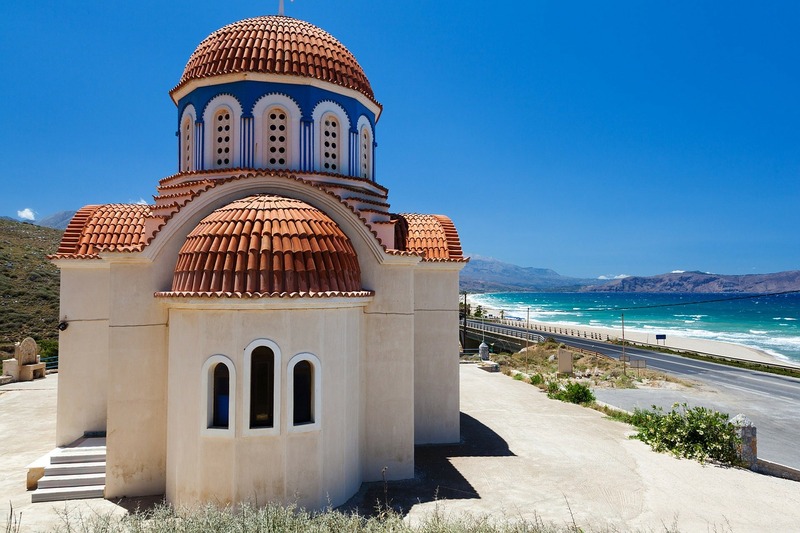 With tourism making up a large proportion of its economic income however, you’ve always got the perfect altruistic excuse if you want travel to Greece! While some of the islands still boast resorts for the super-rich, much of the country remains cheap to travel in and bargain flights here are normally easy to pick up from a range of European airports. Learn how to explore Athens like a local here. Now come on, who doesn’t love a tropical island? Certainly I’m a sold-up member of this fan club and the Philippines provides the perfect opportunity to sample a slice of paradise among the world’s budget travel destinations. From delicious-looking beaches to idyllic islands and fabulous diving, this country has delight written all over it! And the final place on my bucket list of budget travel destinations goes to Ethiopia. Not many people realise the fascinating and unique history this country holds and the richness of its culture. 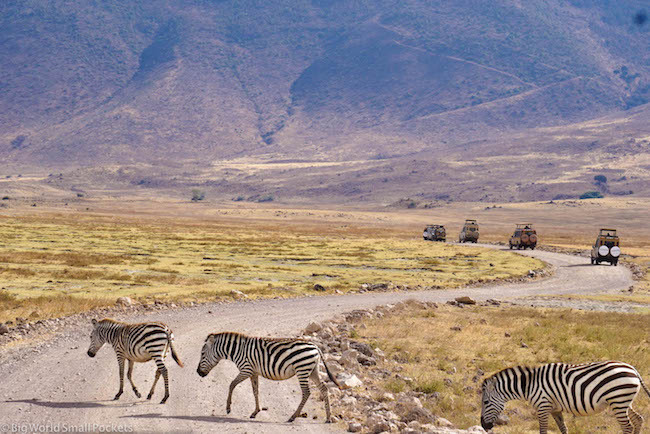 The difference of this African nation is what draws me to it, as well as the lack of travel infrastructure and the sense of adventure it presents. Oh my goodness, I finally visited Ethiopia in 2017 and immediately fell in love with this country! 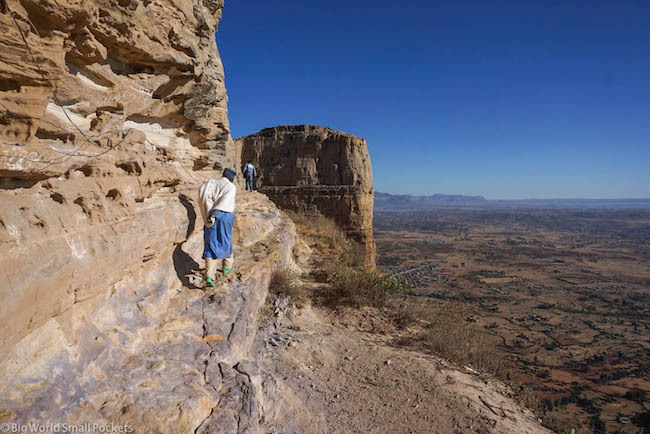 From the incredible Danakil Depression to the mind-blowing Tigray Churches, the ancient city of Lalibela to the lake and waterfall of Bahar Dar, this country is so diverse and utterley dazzling! Get it on your list now people! 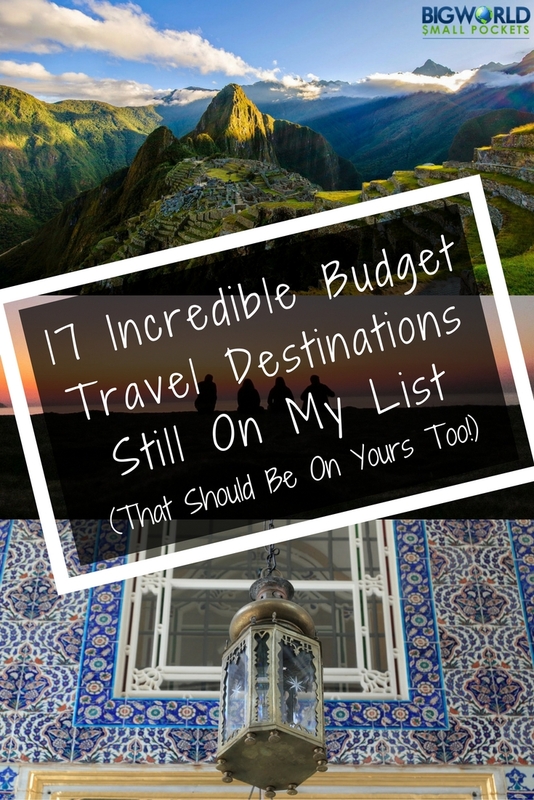 Can’t wait to see how many of these budget travel destinations I get to visit in the coming years – even thinking about it excites me immensely! WOO HOO! I’d love to hear from any of you that have travelled to these places before, so please get in touch with tips and tales so I can share the excitement! I was in the Philippines 3 years ago in the Palawan province, which is supposed be somewhat of a last frontier in the Philippines. El Nido was under a lot of development at the time, which I can only imagine has progressed a lot since then. It’s not so off the beaten track anymore, but if you do go, maybe Port Barton, another area of Palawan, is still less visited than El Nido. Completely agree with you on number 5. When I was a kid I went to a museum and discovered all about ancient Egypt. Ever since I’ve wanted to visit. I’ll make it there someday when my baby is older. This year, I think we’re sticking to Europe for our family holidays. I always think, I’ll get to a country when I need to … if that makes sense Gessell?! Maybe you feel the same? Put the Philippines on top! This is our all time favorite! Great list by the way! Great list, Steph! Since you’re interested in Romania, I’d add Macedonia to the list. Not only is it incredibly cheap, but the food is great, the countryside is beautiful, and the capital city–Skopje–is one of the most unique places I’ve ever been (think Disneyland mixed with Istanbul). This list is so good, these places are amazing! My next trip is Egypt,thanks a lot. Very jealous Agness, can’t wait to get to Egypt too. Hope you enjoy! Just returned from 26 days in Myanmar. All I can say is just go! Awesome Claudia, that’s so exciting to hear. What was your favourite part? just done six months South America and Six months Asia have to say the Philippines and Uruguay were way at the top of each. I am booking my Lebanon flight tickets tomorrow 🙂 Was checking the fare in the other window right now. So exciting! Hope you have a great trip! Jordan is AWESOME! Most people go there only to see Petra -and believe me, it’s gorgeous- but if you plan on going, try to also include Jerash. It absolutely blew me away! Sam those are wicked tips, thank you so much. I’ve never heard of Jerash, so that’s a super idea 🙂 And yes, we all still have a lot of travelling to do! So good list! Let me tell you a little bit about Romania. It’s a wonderful and more than an affordable place! 1 USD = 4,20 RON (Romanian currency). The official language is Romanian (a latin language, very close to Italian), but a large part of the population speak English because they learned it in school. You can book a three- or four-star hotel, a nice and modern hotel with a huge breakfast buffet included for well under $60. Throughout the countryside, prices may be even better. You can eat one very good meal, organics meal, with less than $10, and the accommodation is less than 30$. Hi Elena, these details are wonderful, thank you so much, I’m definitely even more excited to get to Romania now! lot of people are searching around for this info, you can aid them greatly. Thanks so much guys 🙂 I’m really happy you like the blog! Just returned from Romania and it’s a great place to visit! 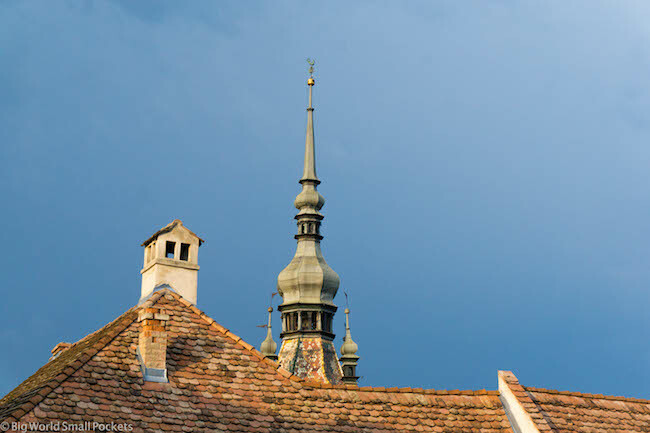 I loved all the little towns – Brasov, Sighisoira, Sibui, etc. Good food and the people are so nice and personable! I have bookmarked it and also added your RSS feeds, so when I have time I will be back to read a lot more, Please do keep up the excellent b.